Move all furniture and household accessories such as trash cans out of the way. 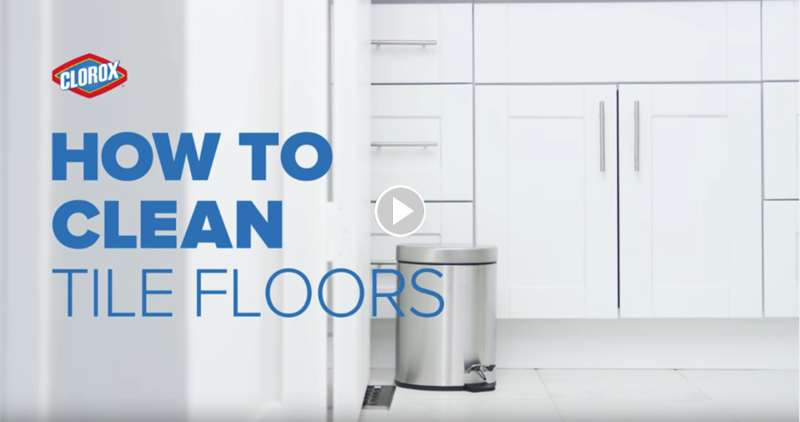 For a deeper clean, sweep the floor before mopping to remove the excess dirt. Start at the farthest corner and work backward toward the door. Pour ½ cup of Clorox® Regular-Bleach2 with CLOROMAX® into 1 gallon of water. Mop the floor with bleach solution. Overlap each stroke as you mop the floor for double-duty cleaning. Remove all cleaning items and let the floor air dry.